Nutrition plays a critical role in staying mentally and physically strong. 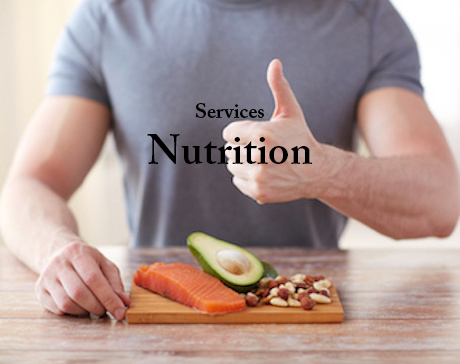 We use a nutritional progression model rooted in science and real-world research to optimize individual and organizational nutrition habits. Giving control back to the people who are ready to make a change...and who want something more. Make changes to your body by learning what "good nutrition" really means for you. Discover the information you need to lose fat, gain muscle, and improve your health. Backed by science and research with real people; not by fads. Exercise all you want, but until you change your nutrition and start eating better, you won't get great results. Why there isn't a "best diet." Imagine the diversity of the people ready to make a change. Body type: Individuals come to us in all different shapes and sizes from tall and thin to short and stocky. Dietary preferences & exclusions: Individuals come to us eating lots of meat every day while others come eating no meat at all. Budget: Individuals come to us with an incredibly low budget while others come with an unlimited budget. Relationship to food: Some individuals are emotional eaters who tend to overeat when they're stressed or alone while others tend to under eat when they're stressed. Organic / conventional: Individuals come to us eating only boxed and packaged foods while others come eating only natural, organic, whole foods. Nutrition knowledge: Individuals come to us as devout followers of a certain dietary practice while others come with very little nutrition knowledge whatsoever. Time: Individuals come to us with lots of free time for a health and fitness project while others come with very little time to devote to health and fitness. The best-kept secret in the nutrition industry? We know it's possible to get healthy and fit whether you eat high carbs or low carbs, meat or no meat, large meals or small meals... There is no one "best way." Yet...most people are still missing something. Something incredibly important. So important, in fact, that without it, most people don't have a chance of actually fixing their nutrition and getting in shape, no matter how much information they have. A nutritional progression model rooted in science and real-world research. Learn how to take control of your nutrition and transform your "bad habits" into a healthy lifestyle.